In 1994, Audiologist Lori Montcalm opened her first office in the city of Burlington. Montcalm Audiology & Hearing Aid Services was one of the first private practice Audiology Clinics in the Halton Region at that time. The goal of Montcalm Audiology was to provide the hearing impaired population with direct access to Audiology services without having to be first assessed by a physician. Already in place for vision care, where patients are directly serviced by Optometrists, Lori wanted to establish a similar model for Audiology and hearing healthcare services. In 2004 Norman Mele continued to develop and expand the Montcalm name by adding a practice in Oakville in 2006, another in Mississauga in 2007 and in Waterdown in 2008. By 2008 Montcalm had 4 locations and 11 full-time and part-time employees. In 2012, the company underwent a major rebranding. A new name and logo, a revitalized colour scheme and re-energized sense of commitment to hearing healthcare are at the core of the Sense of Hearing brand. Today, with 12 locations and growing, Sense of Hearing remains independently owned and operated and offers an unrivaled level of personalized attention over a variety of hearing healthcare services. Our team of Registered Audiologists, Hearing Instrument Specialists and entire staff are committed to finding the right solution to your hearing needs. Our mission is to provide individuals and their families with a superior standard of hearing health care in a caring, warm and comfortable environment. At Sense of Hearing we take your hearing health very seriously. Our teams of Registered Audiologists and Hearing Instrument Specialists, along with our entire staff, are committed to finding the right solution to your hearing needs. 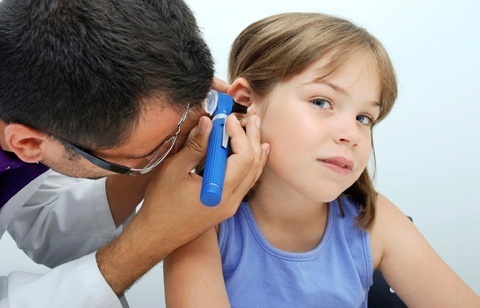 Audiologists hold Masters or Doctoral degrees in identification and treatment of hearing and balance disorders. Audiologists are held to the highest level of clinical standard, which doesn't allow for Sense of Hearing to advertise the many positive testimonials we receive on a regular basis. Sense of Hearing appreciates our patients continued feedback, including positive testimonials! © Copyright - Sense of Hearing. All rights reserved.